THE BROADCASTING AUTHORITY of Ireland (BAI) has put a particular focus on equality and plurality on Irish TV and radio in its new strategy. The strategy, which runs from 2017 – 2019, also looks at how the BAI can achieve excellence and accountability, empower audiences, and promote public debate. One expert told TheJournal.ie that the move to encourage more diversity on the airwaves is welcomed, but cautioned that cultural shifts within organisations take time. The focus on diversity comes amid a larger discussion of gender and plurality in the Irish media, with one 2015 study finding a much smaller percentage of female voices on air compared to male. In the new strategy, part of the BAI’s mission is described as “promot[ing] a plurality of voices, viewpoints, outlets and sources in Irish media”. The mix of voices, opinions and sources of news and current affairs content available for audiences remains strong. The range and sources of quality culturally relevant audio-visual content, including in the Irish language, available to audiences has increased. Irish audio-visual media is more diverse in terms of its content and those involved in its production. While the strategy documents released today outline the above outcomes, details of more specific targets or actions are not included. However, BAI Chairman Professor Pauric Travers told the Irish Times that the authority has some specific plans, including asking broadcasters to report to the BAI on the gender balance and diversity of their presenters and contributors. He said that the BAI is also looking at how the funding which it awards under its Sound and Vision scheme can be “more equitably distributed” between males and females, the paper reports. A review of this scheme is planned for 2018. In 2015, a report into gender representation on Irish radio found that female voices only make up an average of 28% broadcasting time on current affairs shows. Women are also spoken about less frequently, making up an average of only 38% of news subjects on all shows. The report was carried out by Dr Jane Suiter, Dr Kathy Walsh and Orla O’Connor in conjunction with the National Women’s Council. They said in the report that gender quotas for guests/experts on Irish radio should be set at 30:70 over a three-year period. Speaking today to TheJournal.ie, Dr Suiter said that the focus on equality and plurality in the newly-launched BAI strategy is “really welcome”. “It looks like it’s in line with the recommendations from the report that we did with the National Women’s Council last year. It really is to be welcomed that having voluntary reporting will focus the minds of broadcasters and it’s also likely to make commercial sense for them,” she said. Suiter pointed out that it is positive for the BAI to also focus on broadcasters reflecting the balance of the population of Ireland today. She said that there is a large amount of work being done on the area of diversity and broadcasting, not just in Ireland but more broadly in Europe. However, she pointed out that balance of voices on air won’t change overnight, as it involves a cultural shift. You can have all the goodwill in the world, and [still] it’s very hard. Once it’s culturally ingrained in a system, it’s hard to change it. It is easier to go along with the status quo than change it, which is why you need a carrot from the BAI. She said that having to report to the BAI on diversity is a ‘carrot rather than stick’ approach, and “is putting moral pressure more than anything else” on broadcasters. “It will be interesting to monitor that and see how it works,” said Suiter, explaining that “you have to pay attention once you are measuring”. “Cultural change is always slow, but this should provide an incentive and a little kick-start,” she concluded. In developing our strategy for the next three years, we have taken account of changing patterns of media consumption, technological change, increased competition, particularly from abroad, and diminishing advertising revenue. We believe that such challenges offer opportunities which, if grasped, will ensure that the Irish audio-visual sector prospers over the coming years. Meanwhile, Communications Minister Denis Naughten announced new financial measures to support broadcasting in Ireland and quality journalism. 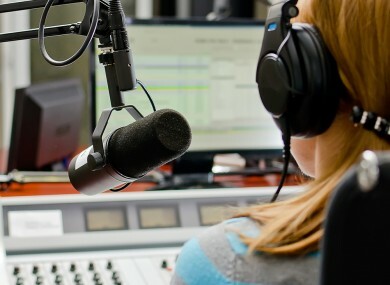 The measures will support local radio, with a new funding scheme to offer bursaries to journalists working in local or community radio stations. He also said that he is proposing to amend the BAI levy provisions, in order to, for example, make all community radio stations exempt from paying it. “Given the likelihood that some UK-based broadcasters will look to establish a base in Ireland following Brexit, I am proposing to amend the scope for the application of the levy so that it is properly future-proofed in this regard,” added Naughten. Email “Plan to get more women on airwaves 'welcome' - but progress could take years”. Feedback on “Plan to get more women on airwaves 'welcome' - but progress could take years”.